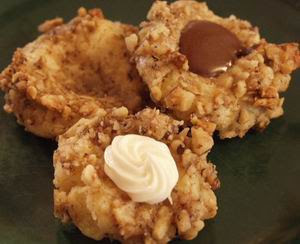 Thanks for sharing your thumbprint cookie recipe on Foodie Friends Friday Christmas in July. Thumbprint cookies are a favorite and so flexible, you can also add jam/jelly or chocolate too. I love thumbprint cookies, and haven't seen one like this before. Thanks for sharing. 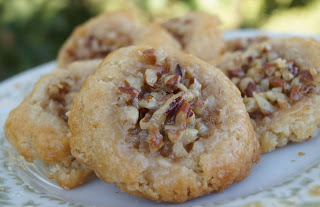 Love these as pecan pie thumbprints! Pinned/tweeted! Oh my, these look so goooood! 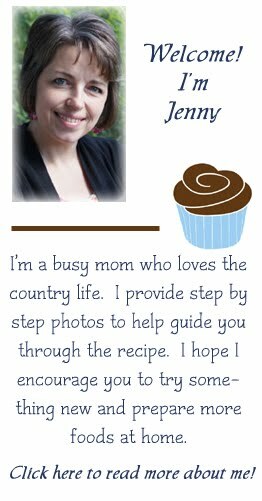 I love that the ingredients are easy peasy!